2016-2017 marked the 100th year of the Rotary Foundation, and the Rotary International Convention was held in Atlanta, Georgia on the 100th birthday of the Rotary Foundation. Here are a few TRF milestones. 1917– At the Rotary Convention in Atlanta, RI President Arch Klumph proposes the establishment of an endowment “for the purpose of doing good in the world.” The first donation was $26.50 from the Rotary Club of Kansas City, MO. 1928 — The Rotary Foundation is officially named and the first trustees are appointed. 1930 — The Foundation awards its first grant; $500 to the International Society for Crippled Children (later known as Easter Seals). 1947 — Rotary founder Paul Harris dies and more than $1 million is contributed to the foundation in his memory in the 18th months following his death. 1951 — Arch Klumph dies as the Foundation is approaching the $3 million mark. 1957 — “Paul Harris Fellow” recognition is instituted. 1965 — For the first time, a single year’s contributions to the foundation exceed $1 million. 1979 — A harbinger of things to come, Rotary begins to immunize more than 6 million children in the Philippines against polio. 1980 — The Health, Hunger and Humanity program recommends 2005 as the target date for eradicating polio worldwide. 1988 — At the Rotary Convention in Philadelphia, Rotary announces that the PolioPlus campaign had raised almost $220 million, shattering its goal of $120 million. 1988 — The Foundation holds the first Rotary Peace Forum in Evanston, IL. 1999 — The Rotary Peace Centers are founded. 2004 — The Trustees establish the Every Rotarian, Every Year initiative, designed to inspire all Rotarians to contribute to the annual fund every year. 2007 — The Bill and Melinda Gates Foundation issues Rotary a $100 million challenge grant to raise funds for polio eradication. 2009– The Gates Foundation gives Rotary an additional $255 million for polio eradication work and increases the challenge to $200 million, matching every $1 Rotary raises with $3.55. 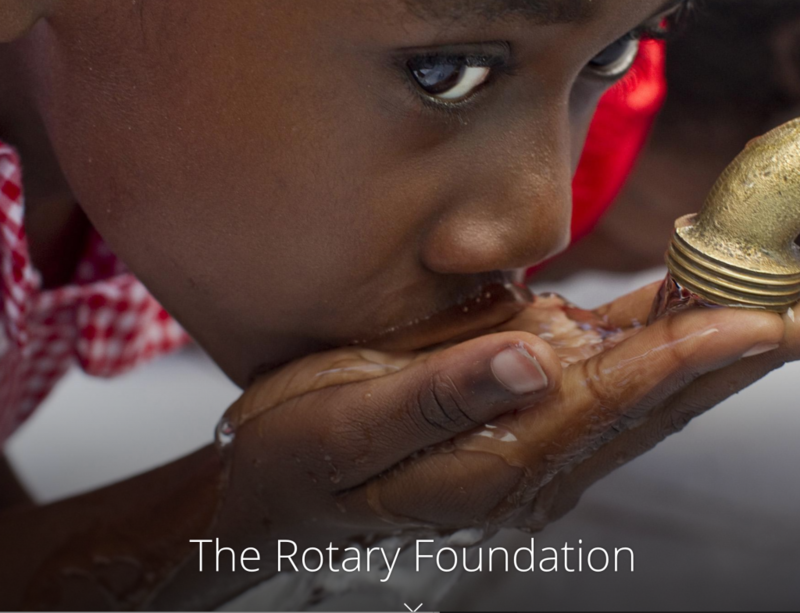 2012 — Rotary exceeds the $200 million challenge that the Gates Foundation issued, raising $228. 2012 — India goes full year without a new polio case and is removed from the list of countries in which polio is endemic. 2013 — Gates Foundation offers to match Rotary contributions for polio eradication 2-to-1 up to $35 million per year for five years.Rotary accepts the challenge under the banner of End Polio Now: Make History Tomorrow. 2015 — The number of polio-endemic countries drops to two: Afghanistan and Pakistan. 2017 — Rotarians returned to Atlanta to celebrate a century of success. The Foundation has done much more than these great things. For more Rotary Foundation information, just click on the photo to visit the Rotary International web site.